And with that another life. We gasp, choke, sigh and post our tributes. And then get on with the day. Until the next person dies. A suicide isn’t a normal death. A suicide goes against the natural human desire to survive. To exist. A suicide is born out of pain and despair. And the feeling that there is no other way. It’s the final step in a series of unrelenting steps that pleaded for help, screamed to be heard. Did no one hear Anthony Bourdain? Or Kate Spade? Not even their families, their loved ones? Did we have the wrong idea about their personal lives? Or perhaps, no matter how happy a person looks, one can never be sure what’s eating them inside. How hollow do you have to feel, how hopeless to take such a drastic step? 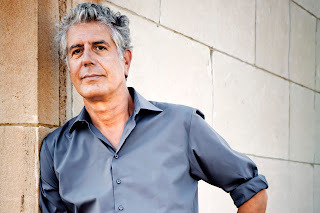 But tonight, my heart cries for Bourdain, Spade, Bennington and those millions of lives we have lost early. And those that we will continue to lose if we don’t do something about it. Depression is real. Suicides are happening every day. You might not like it; you might think people should be stronger. But you can’t change reality. What you can change is the way you are with people. Even a few kind words can mean the world to someone. Empathy is a gift. You don’t know what someone is going through. You might not even understand at first. But be kind. Be patient. Be persistent. Don’t do it for that person to thank you but because it is the right thing to do. And if we all try and be a little kinder to each other, perhaps, we can make a small dent in this harsh world.